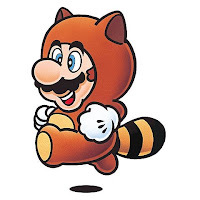 Those familiar with the Mario Bros. video games know what a Tanooki suit is. Making its first appearance in Super Mario Bros. 3, this unique costume gives the character wearing it super powers. It's all part of the fun. If PETA has its way, Mario has stolen his last tanuki skin. The mustachioed plumber is back to wearing tanuki fur ("tanuki" is the Japanese word for raccoon dogs), and now Tanooki is fighting back to reclaim what's his in Super Tanooki Skin 2D, a new side-scrolling game from PETA. In the game, which is the center of PETA's new "Mario Kills Tanooki" campaign, players direct a bloody, skinned raccoon dog as he chases a tanuki fur–suited Mario through a surreal fur farm where raccoon dogs are routinely skinned alive for their fur. [emphasis mine] Quick reflexes and jumping skills will allow Tanooki to capture Mario and reclaim his skin. 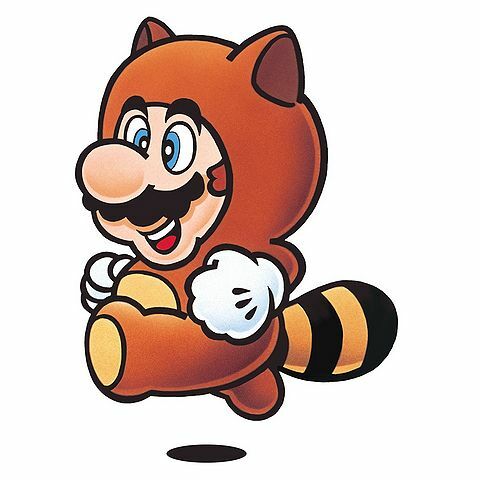 Tanooki may be just a "suit" in Mario games, but by wearing the skin of an animal, Mario is sending the message that it's OK to wear fur. We created our game to help inform people that in real life, Mario would be wearing the skin of an animal who was beaten, strangled or electrocuted, and it wouldn't give him any special powers other than the power of self-deception. Shows you how out of the loop I am. I had no idea Mario was such a fashion icon. If you're curious, you can play PETA's pathetic little video game here.